It is the calm before the #ForestGarden talk. My first ever talk to a gardening club. Eek. Drefach Felindre Gardening Club, tonight at 7.30pm. 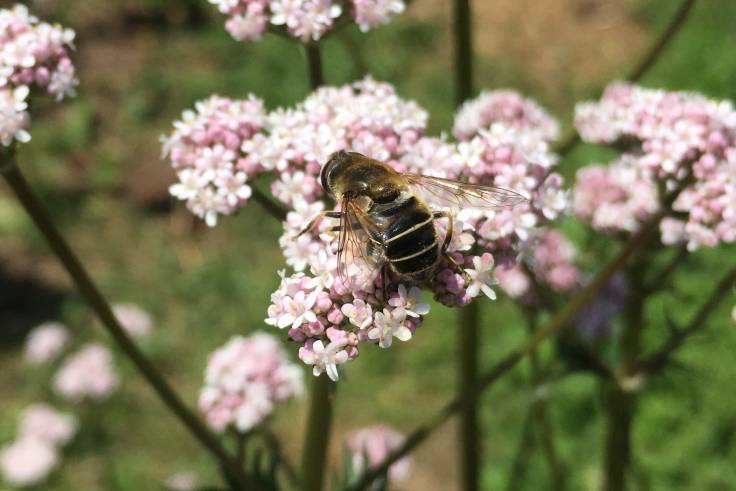 The photo is of “something magical” for a slide, it’s a hover fly on a Valeriana officinalis flower. Very soothing 🙂.